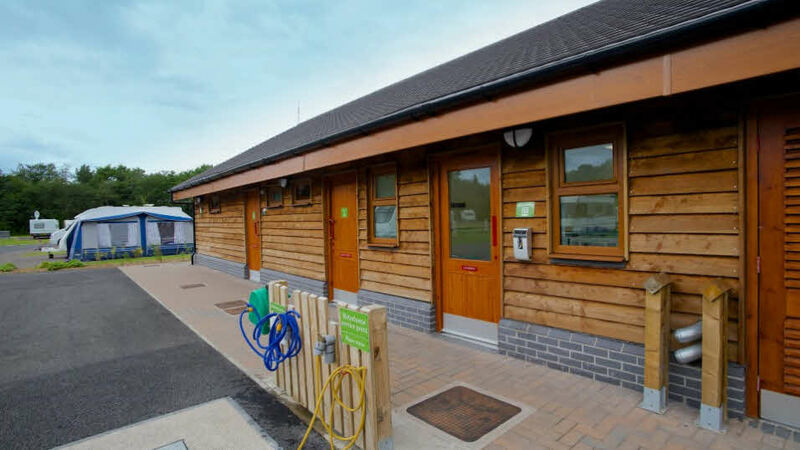 Modern camping toilets need minimal maintenance and offer maximum convenience for caravanners and motorcaravanners who don’t want to be reliant on site facilities. The majority of touring caravans and motorhomes have fitted toilets, and even where this is not the case, many campsites expect touring caravanners and motorhomers to have some form of chemical toilet on board. The most common toilet now is the ‘cassette’ system accessible from its own exterior caravan door. You unlock the access door to add toilet fluid, fill the fresh water tank and remove the cassette for waste disposal. A gauge will warn you when the cassette needs emptying. The Club’s policy is that all chemical fluids should be biodegradable to assist the biological treatment of sewage. Blue fluids on the market may contain formaldehyde. Green fluids are all formaldehyde-free but may not be as effective at breaking down waste in holding tanks. Both green and blue fluids are acceptable for use on Club sites and with the correct dilution should not affect any sewage treatment method. Some larger motorhomes feature toilets that employ vacuum technology. When the toilet is flushed the vacuum energy stored in the system is released. The bowl is instantly cleared and the waste is removed through the vacuum pipe, at two metres per second, to the waste tank. It has a remote removable cassette, which can be installed anywhere, avoiding unpleasant odours in the bathroom. The filter requires changing between one and three years, dependent on usage. Conventional cassette toilets can be used without adding toilet chemicals, by fitting the SOG toilet ventilation system. The manufacturer claims additives are no longer necessary and optimal waste breakdown is guaranteed by the increased flow of oxygen. Gases are neutralised via an active carbon filter before venting through the external wall of the caravan. 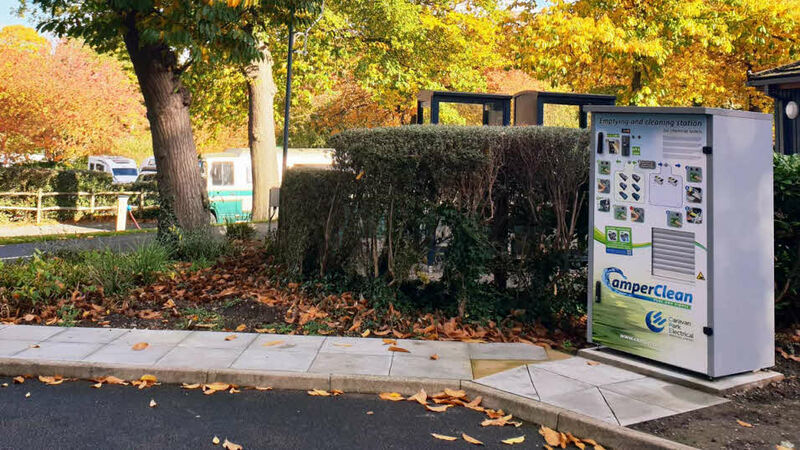 When visiting our Abbey Wood, Brighton and Coniston Park Coppice Club Sites you’ll have the option to use our CamperClean facility. For only £2 per use, simply insert your cassette and CamperClean will not only empty but also sanitise in around 3 minutes. This can take away the hassle of manually cleaning the cassette using traditional blue cleaning fluids. For more information on how to use the CamperClean, you can either watch this video or speak to our Site Staff. The waste holding tank of most toilets is sealed and, therefore, can become pressurised when gaining altitude. If travelling from sea level to high altitude be careful when first operating the toilet, and if possible release the pressure occasionally by easing the blade valve open with the lid closed. Modern Thetford toilets have a pressure relief valve incorporated. In cold weather the fresh and waste contents of the toilet may freeze. A simple precaution is to add car antifreeze, first checking with the toilet manufacturer that it is compatible with the plastic materials used. Propylene glycol, is less toxic and is the better option. The caravan background warmth should prevent freezing on site, but when travelling in sub-zero conditions it may be sensible to drain the toilet; this should also help caravan stability. At the end of the season, wash out the toilet with a mild soap solution. Avoid using strong household detergents or cleaners with chlorine, solvents or acid contents, which may damage valve seals. Seals can be greased with acid-free Vaseline or olive oil and the toilet should be stored with caps loose or removed. All fresh water tanks, hoses etc. should be regularly cleaned with a proprietary steriliser and water filters should be renewed at intervals recommended by the manufacturer, regardless of how little they may have been used. Finally, always read the manufacturer's instructions, which contain many useful tips.